Projects that were completed while working at the University of Twente, in Enschede, Netherlands. This research study is interested in understanding how victims experience crime. Therefore, this research asks you to imagine being a (hypothetical) victim of a crime. Each participant experiences either a low or high intensity robbery from the first person perspective of the victim. 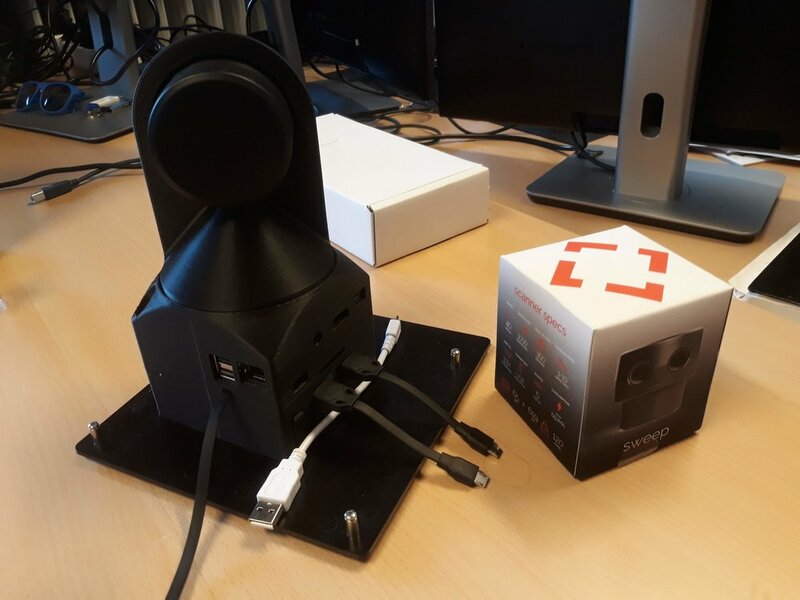 Created a bike sensor module that would allow the researchers to conduct various research studies with the bike and virtual reality headset. Students recorded 360 spherical video that was uploaded into an application to study the effect of passing time and the performance. In this experiment, two 360 spherical video recordings of natural environments were overlaid with audible guidance for meditation. With a sample of 40 participants, it was tested whether the intervention had an effect on stress level, specifically, measuring difference in stress reduction between the two environments. In this cross-sectional experiment the relationship between arousal, personality and making risky choices was investigated. There were 27 participants, in which heart rate, skin conductance and personality were measured. After the VR movie was shown; a nature film (control condition) or a bungee jump (experimental condition), scenarios were shown as text about engaging in risky and criminal behavior, in which the participants had to assess the size and the attractiveness of the risks and the likelihood that the participant would perform the behavior. Created three Virtual reality (VR) environments – a park, business area, or a festival – and, as part of the VR scenario, participants watched a drone fly overhead. 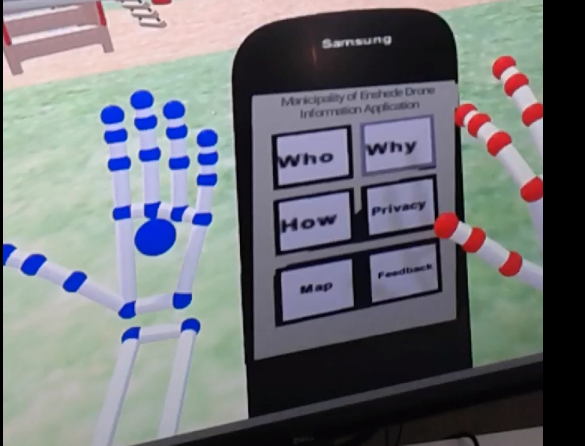 In VR, participants had a (virtual) smart phone with an app; transparency was manipulated by providing the option to look for information about the drone. Several menu options were provided, each representing different types of information (e.g., information on the ‘why’ and ‘how’ of drone usage and privacy information). The effects of context and transparency on trust, control and acceptance was measured. By logging the use of these menu options, we aimed to determine which kinds of information people preferred in the different environmental settings. The paper is titled “I am the eye in the sky – can you read my mind?” How to address public concerns towards drone use” and is based on the virtual reality simulation that I created for her masters thesis project involving 120 participants. I was really proud to attend the Masters student defence for her thesis where she was presented with her graduation certificate. Task: Build a new virtual nature environment for therapeutic purposes in elderly. The researchers want to test the sense of presence, meaning how much people feel that they are actually surrounded by nature when inside the setup. Action: Used a DSLR camera and a custom photogrammetry workflow to incorporate elements from the local natural environment into the game engine. I used my experience with the Kinect v2 rom the Microsoft Windows Developer preview program to track attention and emotion of the participants as they watched the different forest scenes. Developing a window like display, incorporating the scanner into the frame. Result: Realistic Forest currently being tested in hospital and elderly holmes in multiple cities in the Netherlands and future cross cultural studies are to be conducted in collaboration with KAIST University. Used my experience as an interactive installation developer to propose a virtual reality multi sensory solution. 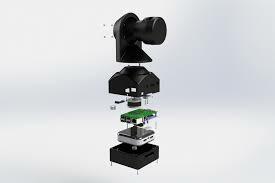 Create a portable 3D scanning rig for juvenile inmates. The goal of the Future Self project is to build a VR environment in which people can see themselves, but 10 or 20 years in the future. Combinating 3D scanning, modelling and motion capture, I was able to create very realistic virtual avatars. I used a Kinect v2 to scan the professor and a group of test subjects. I converted the raw 3D point clouds is to a mesh that was modeled into solid avatars. The avatar was rigged with skeleton bone structure. The avatar is then aged inside the unity game engine. The test was structured to evaluate the realism of the avatar and to verify if the person can recognize identifying himself/herself in the avatar, embodying, The avatars were certainly considered to be within the “Uncanny Valley” and further research will determine where exactly in the valley the avatars reside. 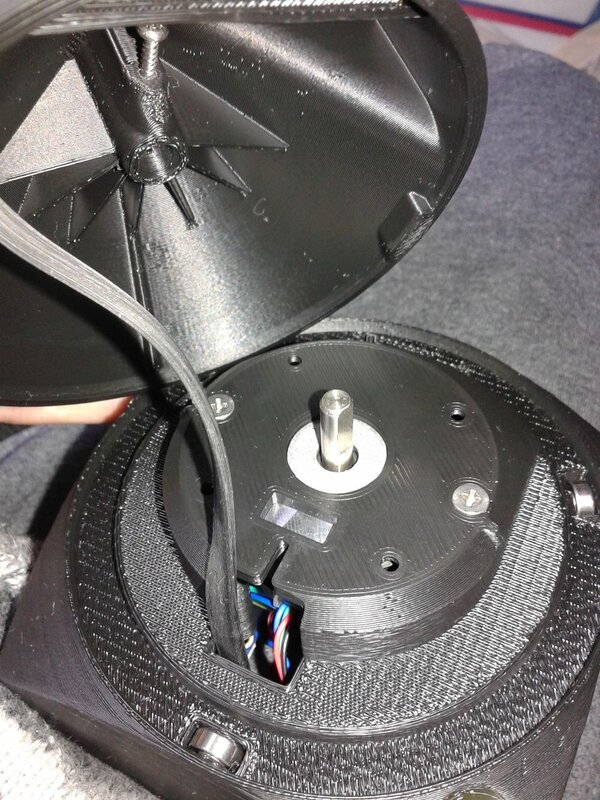 3D Printed assembly converting 2D LIDAR Scanner into a 3D LIDAR Scanner using a Raspberry Pi. 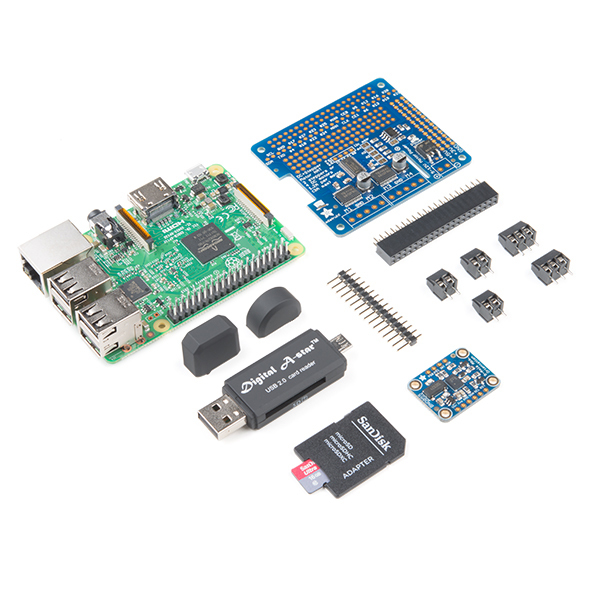 Each Scanse Sweep 3D Scanner Kit is controlled by an included Raspberry Pi 3, a stepper motor and driver HAT, and a 9DoF IMU — all housed inside an included 3D-printed enclosure. As the Scanse Sweep rotates in its seat, the top of the 3D scanner pivots back and forth, providing a complete three-dimensional scan of its surroundings! The Scanse Sweep is a scanning LIDAR sensor designed to bring powerful 360-degree sensing capabilities to everyone for an affordable price. With a built-in LIDAR-Lite, the Sweep possesses scanning capabilities that allow you to adjust the rotation speed on the fly so you can slow it down for more detail, or speed it up for faster reaction times! With a range of 40 meters, a sample rate of 1,000 samples/sec, the Scanse Sweep is a perfect sensor for Robotics, UAVs, site surveying, and Internet of Things (IoT)/security applications. The Sweep is a single-plane scanner. This means that as its head rotates counterclockwise, it records data in a single plane. The beam starts out at approximately 12.7mm in diameter and expands by approximately 0.5 degrees. Sweep can be connected to low-level microcontrollers directly using its serial port, or to a PC using the provided USB-to-serial converter. 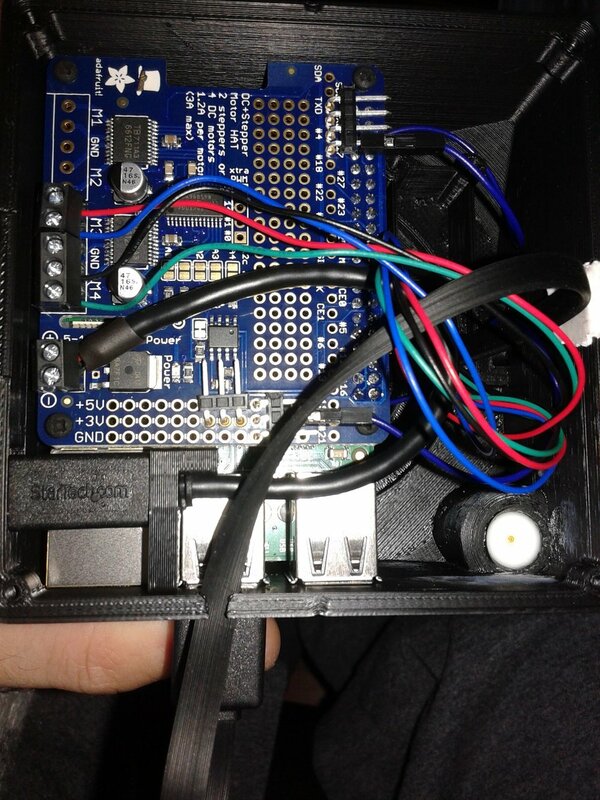 It even has two serial port connectors with identical signals, which allows for more mounting options.